As I mentioned in my post about my pre-wedding skincare routine, I started trying GliSODin Skin Nutrients for 3 months to give my complexion a little more oomph before the big day. Fast forward to two months of taking the Advanced Skin Brightening Formula and my skin is more radiant ever: I'm free of hormonal- and stress-induced breakouts and I'm skipping foundation and concealer almost daily. GliSODin has also reduced the severity and duration of inflammatory reactions, stopping burgeoning blemishes in their tracks, preventing insect bites (something I'm very allergic to) from becoming too big, red, and itchy, and helping lingering inflammation and dark spots from past breakouts fade away. Plus (bonus!) the formula minimizes the damaging effects of sun exposure, which is perfect for summer. So how does GliSODin deliver the goods? 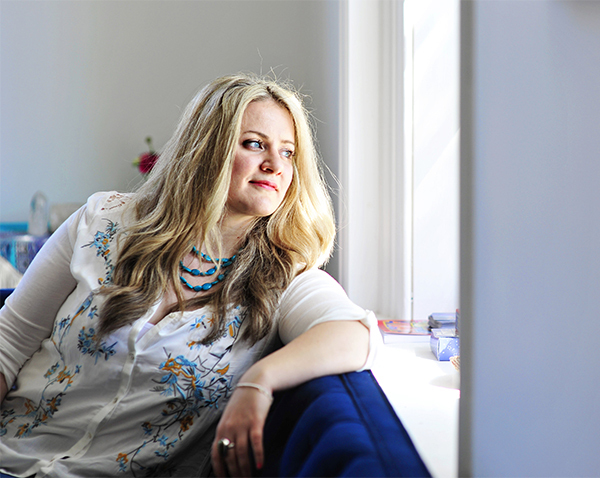 I went straight to co-founder Corina Crysler for more info. What is superoxide dismutase (SOD) and how does it work? We have an internal antioxidant system which comprises superoxide dismutase (SOD), catalase (CAT), and glutathione peroxidase (GPx). 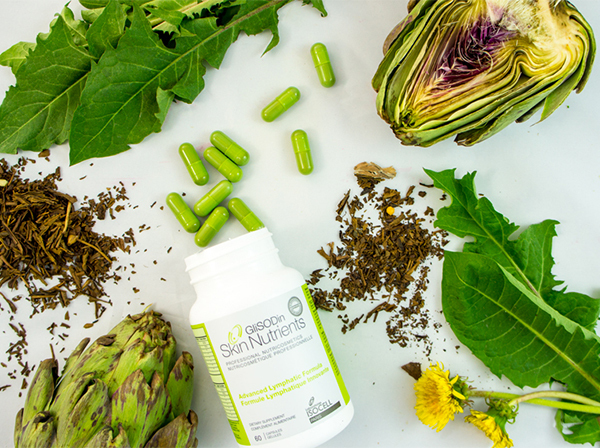 SOD is an antioxidant that starts the cascade of reactions that fights free radicals. Without the neutralizing effects of SOD, free radicals would cause oxidative damage leading to DNA damage, disease, and aging. How does GliSODin deliver SOD in an effective pill form? GliSODin is the first patented technology that contains a bio-active form of SOD derived from the melon, Cucumis melo, and protected by a gliadin biopolymer layer. For this reason, SOD will reach the small intestine where it can be effective. What are the long-term health benefits of taking GliSODin? 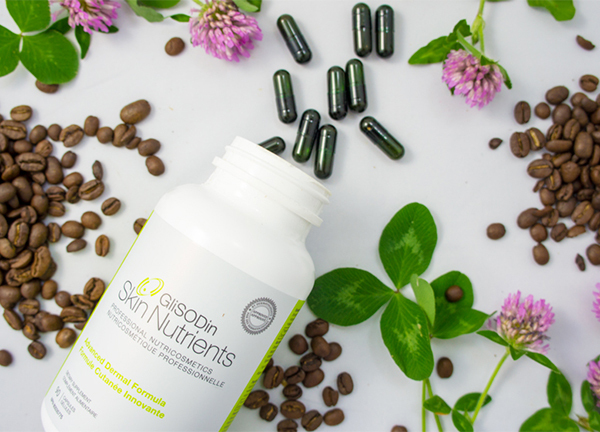 GliSODin has the ability to neutralize free radicals at a rapid rate, which then reduces oxidative stress and inflammation. Inflammation and oxidative stress can cause many degenerative diseases that are the main cause of aging. Therefore, by taking GliSODin, you are helping the entire aging process by aiding the anti-inflammatory process. There are 23 clinical studies on the benefits of taking GliSODin that are based on sun protection, cardiovascular health, sports recovery, healing, and other inflammatory conditions. There are 6 GliSODin formulations to address different needs. Can people mix and match formulas or should they stick to one? It depends. We have Face, Body, and Recovery products. You can mix match the categories mostly. But the Face products (which are the Advanced Dermal and Skin Brightening Formulas) should be taken separately. The Dermal is more for overall skin health—hydration, glow, reducing fine lines and wrinkles, and overall texture of skin—whereas the Skin Brightening is for sun protection, pigmentation issues, and acne. Both are beneficial for glow, although all GSN formulations will help with glow. Our Cleansing Formula is typically taken on its own because this product is meant to purge the system and the other products are for rejuvenation. If you had to pick one formula that anyone would benefit from, which one would it be? The Anti-Aging/Dermal Formula. It is a very effective formula for inflammation, therefore it can address so many issues. 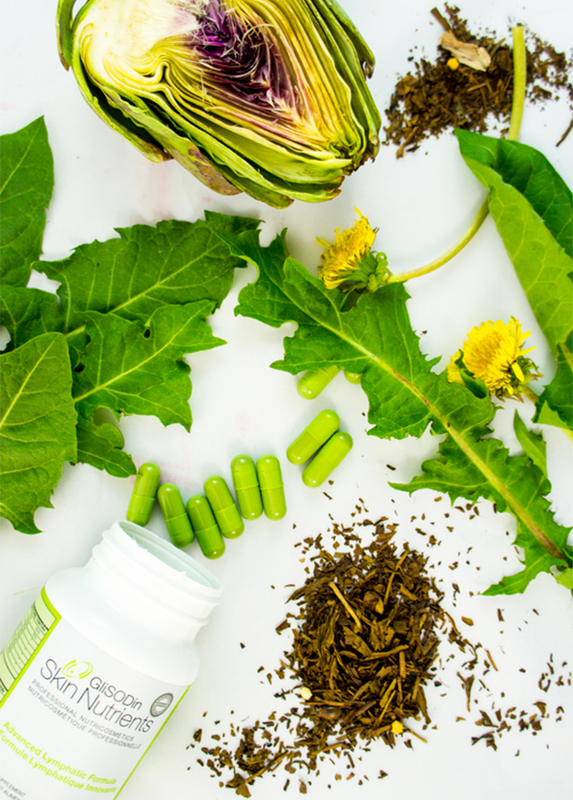 I formulated it to have therapeutic, high-quality doses of nutraceuticals to repair, rejuvenate and protect. What benefits have you noticed in your own well-being from taking GliSODin? I used to suffer from hormonal/stress acne and the Skin Brightening Formula has made a huge difference. I also have very fair skin so the extra protection has helped significantly. My skin, hair and nails are extremely healthy. I have a busy life so I need support to control oxidative stress and my energy levels. When oxidative stress is in control the common side effect is more energy, which is great! I hear this often from other GSN lovers as well. The Diuretic Formula has been a staple when I travel as well. It helps with water retention and bloating that is common when I travel a lot and can’t keep a typical routine, especially with food. One of the things I struggled with (and still do!) is remembering to take my pill after every meal, 3 times a day. Do you have any tips for that? You can take the Face products at once, which are the on-going products you would take, so all three capsules with your breakfast or lunch. It’s like anything, it has to be part of your routine, just like your topical skin care program. I usually leave my bottle where I can’t forget to take it. Don’t leave the product in your cupboard where you can’t see it. 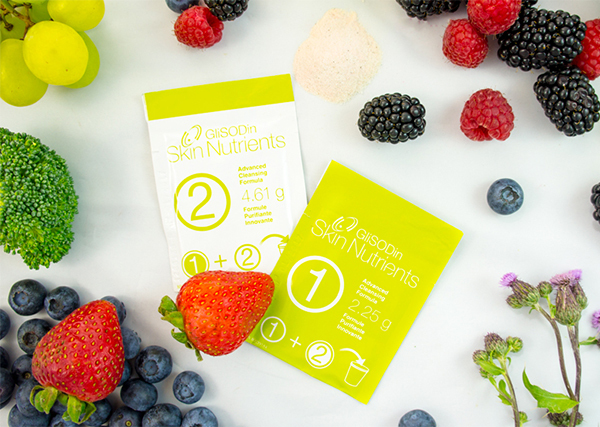 And once you see the results that GSN offers, you will not forget to take them! Finally, what would you say to skeptics who shake their heads and go "I don't need a nutricosmetic supplement"? This is my favorite question! Aging is an internal process. There are external factors that definitely contribute to the aging process but that process is still happening internally. Therefore if you want to address the root problem of the aging process, it has to start from the inside, especially with inflammation. By controlling inflammation in the body, premature aging can be reduced and influence many skin conditions such as pigmentation, acne, wrinkles, collagen and elastin production. Special thanks to GliSODin Skin Nutrients for providing me with a 3-month supply to try out for editorial consideration. A full list of retailers is available on their website. In Vancouver, you can purchase GliSODin through Collective Skincare, which is located upstairs at BeautyMark (1268 Pacific Boulevard).